Begin your luxury yacht charter experience by relaxing – and leaving every detail to our yacht charter specialists to create a customized, one-of-a-kind, pampered-by-service getaway just for you. 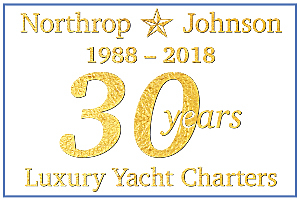 We offer over 2000 yachts and yacht charters in the most inviting and interesting worldwide yacht charter cruising destinations like: the Caribbean islands, France, Italy, Greece, Croatia, Turkey, Spain, New England, the Bahamas, Florida, the Pacific Northwest, Alaska, South Pacific, Asia, New Zealand and more. 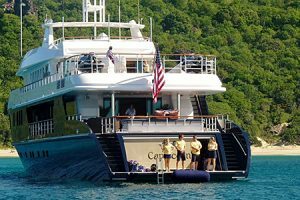 Wherever you want to go – on whichever yacht appeals – we will arrange everything for you, including your on-board cuisine, local sights, water sports, and adventures, depending on how secluded or active you may want to be. We have been there and done that, with many satisfied clients. We can do the same for you. The luxury yacht you choose is your on-the-water home away from home, with a stunning and constantly ever-changing view. 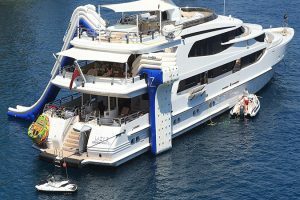 Each yacht is unique, with its own special personality, ambiance, decor, and professional crew. Find the yacht that appeals – we’ll arrange the details. Where do you want to go? 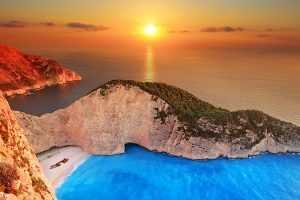 We have gorgeous yachts waiting for you in the world’s most awe-inspiring and exotic destinations: the Caribbean, Europe, the South Pacific, Pacific Northwest, Alaska, New England, the Bahamas, Florida, Asia, Australia, and New Zealand. Charters Hand Crafted Just For You! All of our luxury yachts come complete with a professional crew; that’s a given. Beyond that, it’s all up to you. Want to be active, laid back, romantic, all-business (or all of the above)? We will listen carefully to what you want, and create a custom charter experience. On Board! – What’s it About? Comfort, for one thing, thanks to the truly professional staff and perfectly maintained luxury yachts. It’s also true that the best way (and sometimes the only way) to see the most stunning locations is by yacht. It’s your own personal playground on the water. Our experience is your assurance that your cruise will be a terrific, memorable charter. We have tasted the cuisine, explored the locations, and worked with hundreds of crew members, all to make sure that your charter is superb from start to finish. It’s simple, really, because we take care of every detail. We start with a conversation about your desired destination and personal preferences, select the right yacht, secure the booking … and then you’re on your way – on your own incredible adventure.